Need a place to park your car? A place where it’s protected from the elements and sometimes harsh climate? 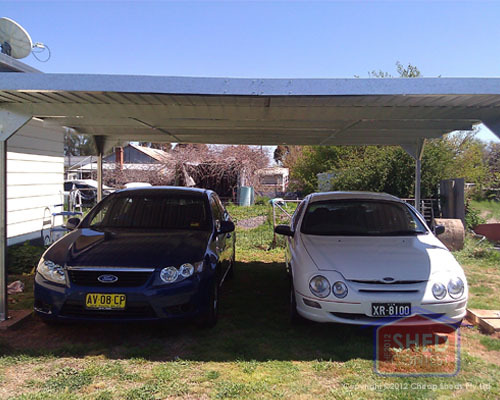 The Cheap Sheds range of Carports is the best quality available on the market today. As these products are made right here in Australia by Spanbilt and Absco, you can be assured they are built to last. 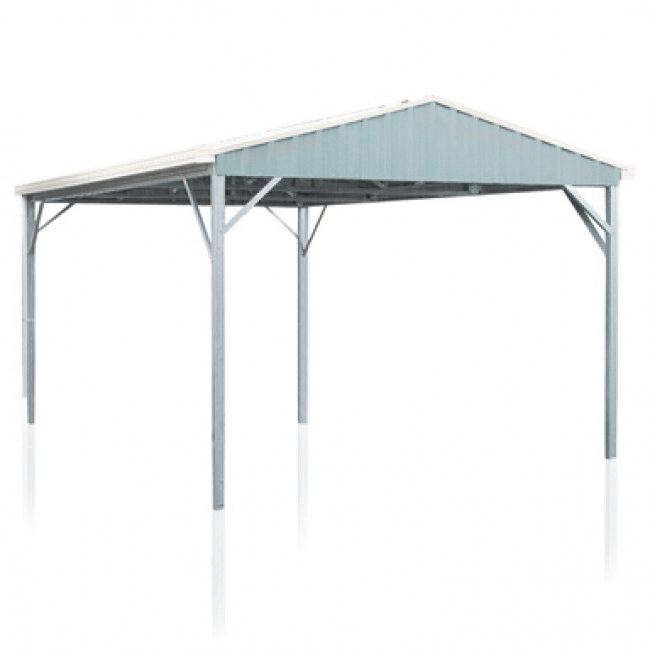 As you’ll see below, choosing your carport has never been easier. 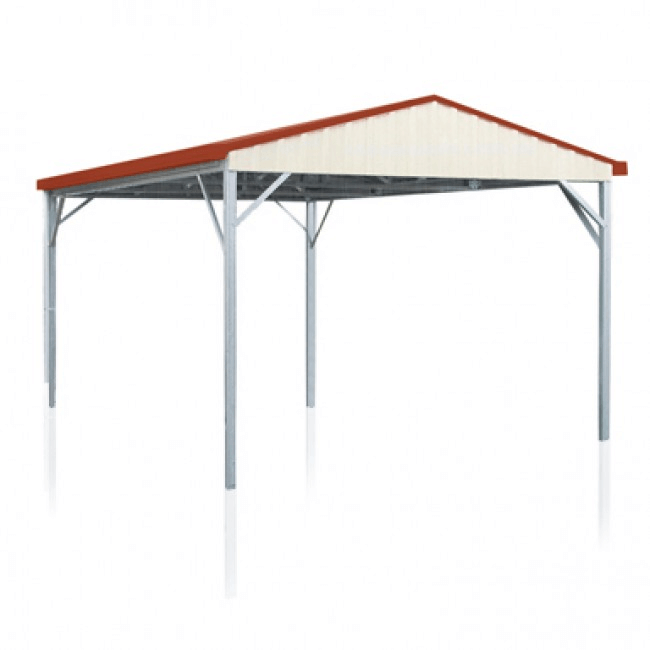 You need to determine the size of carport you need. The easiest way to do this is by finding out the dimensions of your vehicle/s. You may even have a truck or a vehicle with a taller front end, this too needs to be noted as we have solutions for these too! Once you know the vehicle dimensions you’ll be able to decide if you need a single or double carport, a sloping roof or perhaps required height extensions. STEP 2 - WHAT STYLE OF ROOF DO YOU WANT? This is a roof design, which is high on one side and low on the other i.e. it has a sloping effect. This slope aids water run off and may provide the dimensions you need to house your larger car or truck. A Gable roof has a high point in the centre with the roof sloping away in opposite directions... Kind of like the ‘church steeple’.This style gives a carport a very elegant feature and that extra bit of space always goes a long way. As the name suggests, this roof is entirely flat. This would be ideal if you don’t want the carport to overwhelm the home and will give the impression it is part of the home as there is a continuous flow from carport to roof. So now you’ve picked the size carport, and you decided on the style of roof. Now we have to choose the colour for the carport. As the carports and roofs are made from steel, you have the options of choosing the plain ‘zinc’ look or a colour finish. Both choices are equally as durable and reliable, the only difference is the appearance and budget. NOTE: If you live close to an airport, council regulations may state that you cannot have a zinc roof due to the light reflecting off it, which may disrupt local air traffic, so it’s worth checking out. If this is the case, don’t worry as there are many great colours to choose from on our site. Come with up to 30 year warranty. Can be shipped to all major cities and regional centres of Australia. We offer Free depot delivery service is available to a range of local depots around the country as well. You can read about our shipping arrangements in details here. We are also able to offer Home Delivery for a fee. Check the product pages for a quote. I have received my carport and delivery was easy and not stressful at all. We have only started to put it together last weekend and the only thing left to do is the roof (weather hasn't been too kind on the weekends). Hopefully the roof will go on this weekend. It has been good watching it go together and I am very pleased with it so far. Thank u for your fantastic after sales service. Carport arrived in quick time. Hope I can get it erected as fast. Better wait till after Santa has been!